What is affordable in Patna real estate market and for whom? When we are talking affordability we mean by market rates not by government standards. Our assumption of affordability in the year 2018-19 in Patna includes 650 sq.ft of constructed area in 10 floor buildings with basic facilities of electricity, water and sewerage and road connectivity. Now let us calculate the cost of “Affordable housing” in Patna. When we write Patna, it means areas like Naubatpur, Vikram, Shivala, Neora, Beldarichak, Bela, and Fathua. Locations almost 5 to 10 kms away from existing live able areas of Patna. We are not crossing Ganga or any other river on 3 sides of Patna. Fortunately, these areas are connected to central Patna and that is why they are chosen by us. The land cost in these areas will be about Rs.5 Lakhs per Kattha (1361 sq ft) and will need to be acquired in Acres to average out a lot of costs. Cost of Housing will include LAND COST+ CONSTRUCTION COST+ COST OF BASIC AMENITIES. OUR RESEARCH shows it will all come to about Rs.1100 per sq.ft at market rates. It means a 650 sq ft dwelling will cost Rs.715000 (Rs. SEVEN LAKH FIFTEEN THOUSANDS). A family in Patna which can pay Rs. 1 Lakh as down payment and an EMI of Rs. 6000 per month for twenty years as per present home loan rates prevailing in Patna can afford “AFFORDABLE HOUSING” in Patna. After calculating market rates for affordable houses; if we include Government subsidies to it, the rates will come down by 25% almost. It leads to a Down payment of only Rs.75000 (Seventy Five Thousands) and EMI of only Rs 4500 per month. Some more cost adjustment needs to be worked out to keep margins for developers but we have calculated government subsidies at only 25% whereas it is higher if bundled together. In Patna How many can afford it?? According to 2010-11 data per capita income of Patna is 57,843. Projecting the same for financial year 2018-19 it would be around Rs 80,000. It does not mean everyone earns Rs 80000. Population of Patna district is 6 million. It means 10 lakhs families. Each household includes 6 members in Patna district on average. We already have about 5 lakhs houses in Patna. Now what is about to be known is that out of the remaining 5 lakhs, how many can afford “Affordable Housing”. Even if 1 Lakh families could be roped in, it will be an achievement. This figure is attainable. A PPP model can achieve it. It is a great scope for developers in Patna. 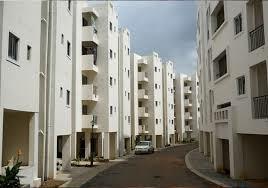 Developers in Patna, however feel that the low-income market is a viable one for them, except for financing issues. The poor themselves are eager to own a home in Patna and willing to pay and sacrifice for it. Banks and Housing Finance Companies want to lend to affordable housing sector in Patna but cannot solve the high transaction costs and perceived credit risks. The only way to recover loans — and even that is dicey, they say — is to take defaulting customers to court. The trials would take years to resolve. These risks apply to the non-banking finance sector as well in affordable housing projects in Patna. Microfinance institutions (MFIs) have an advantage in affordable housing segment in Patna because they know their customers and can gauge how much credit risk these low-income people can tolerate. The attraction for MFIs is that some of them who stay connected to their customer base understand the urban poor consumer psyche better than the regular mainstream bankers. For instance, most poor households can afford to pay regular small sums every day over a long period to the MFI loan collector. But ask them to give up-front advances and large monthly payments, and chances are they will default. Some MFIs understand this better than others and are willing to structure arrangements that involve daily collections against the house purchase. 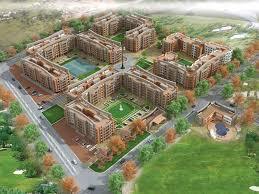 The challenge lies in structuring a solution in affordable housing in Patna. The government has tried, mostly by offering loans to the poor. The state has disbursed millions of rupees worth of housing loans to the poor. The problem is that there is severe leakage in funds as they traverse from center to state to local administration so that poor people either don’t get anything or get only part of what is due to them. In spite of spending large amounts, the urban poor are without quality shelters, given the rampant leakages in project execution.